Judith Anne Rice’s latest work, The Kindness Curriculum, Second Edition, provides more than 90 character-building activities to support children as they develop pro-social skills that can help prevent bullying. 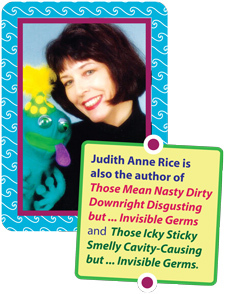 The author of several other books, Judith is filled with great ideas to help children lead healthy and happy lives. Read on for some background information on The Kindness Curriculum, get advice for introducing children to pro-social values, and learn some fun facts about Judith. Where did your idea for the Kindness Curriculum come from? After about ten years of early childhood teaching, it occurred to me that the rise in violence we were seeing in our culture might be mitigated by giving young children opportunities to practice the building blocks of character development. I also saw the Kindness Curriculum as a means to foster children’s emotional intelligence that would help them lead happy, productive lives. What spurred you to address bullying in the second edition of the Kindness Curriculum? Like so many of us, I was saddened by media stories of how widespread and painful bullying has become. But the most direct impact on me came from losing my godson to bullying when he was only fourteen years old. How will this book help children in early childhood classrooms and beyond? Every activity in the Kindness Curriculum is designed to provide young children with fun experiences that reinforce pro-social behavior. These experiences form a foundation for later formation of values such as courage, wisdom, prudence, endurance, commitment, and justice. It is my hope that children will experience a continuing emphasis on loving values and character development throughout their elementary, secondary, and college years. What is your favorite activity in the book? I think the most important activities may be in the Home Sweet Homework section because they reinforce the lessons in the book and give parents, who are the children’s most important teachers, additional opportunities to be closely involved in forming their children’s values. But for pure fun, I really like Fishing for Friends and The Power of Flour. What are the most important things an early childhood educator should do to introduce young children to pro-social values? I summarize my guidelines with the acronym PRIM. That’s Practice, Rules, Internal Rewards, and Modeling. 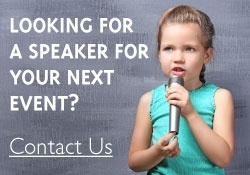 Children need repetition of concrete experiences that teach values; rules that are appropriate and consistent in order to build trust; internal rewards such as approval, praise, love, touch, and attention; and modeling because children imitate the behavior of the adults in their lives. Have you witnessed any random acts of kindness recently? It’s not a “random” act, but I continue to be in awe of my friend, Cy Lepak, who for years has travelled once a month from Cumberland, Wisconsin, to Minneapolis, Minnesota, to help care for an elderly friend ravaged by multiple sclerosis. Learn more and see a full list of titles by Judith Anne Rice.